Bloggers often select a popular niche and dig right into it. Good bloggers will find a way to bring out their unique voices and perspectives, but there typically isn’t a lot of innovation. But to take a saturated niche like personal finance and carve out your own sub-niche that you can dominate is a completely different story. Innovation in blogging isn’t dead after all. 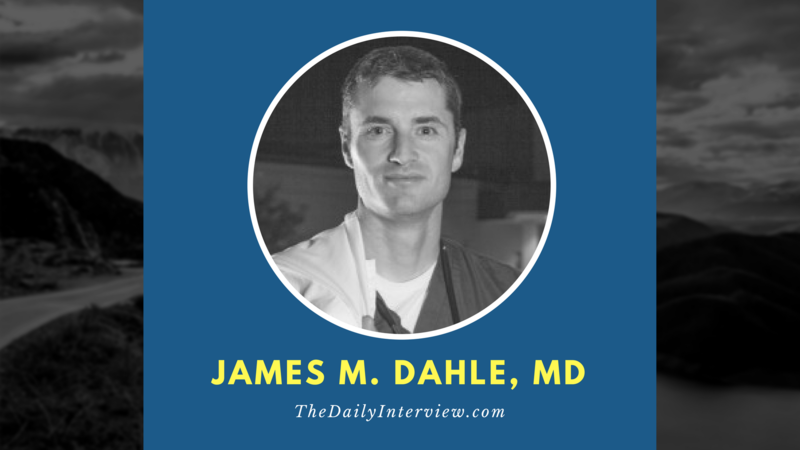 Today’s interview features James M. Dahle, MD, an emergency physician. As a CPA who has worked with doctors before as clients, I’ve seen how many people in the medical profession don’t understand personal finance, which leaves them open to less-than-noble individuals who can take advantage of them. And that’s why Jim created his blog: to help other doctors better understand personal finance. As you’ll read in this interview, Jim has found a way to really make a name for himself and his blog by providing information that generally wasn’t available before to doctors — or at least not with the same depth that Jim offers. He also explains what types of monetization work well for his blog, and he gives some advice on how other bloggers may be able to find similar success. Jim, I’m blown away by the depth of information you’ve written for your blog, The White Coat Investor. As a CPA, soon to be married to a pharmacist, I can definitely understand the knowledge gap that often exists with medical professionals and their personal finances. You’re doing a great a service to your industry, as well as many others who aren’t in medicine. 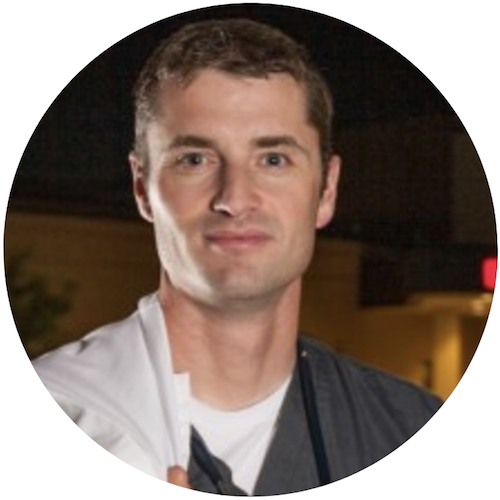 So, how did an emergency physician become interested in blogging about personal finance? First, I was ripped off by a “friend” who sold me a tiny whole life policy instead of the big 30-year-level term policy I needed. Then I was ripped off by a real estate agent (also a “friend”), who not only encouraged us to spend too much on a house she knew we’d have trouble selling, but also encouraged us to buy a house when we should have rented. Then a mortgage refinancer tried to rip me off by sneaking in a prepayment penalty when he knew we would be selling the house we never should have bought within a year or two. Finally, a financial advisor put me into loaded mutual funds after telling me I would be paying him via a flat fee for his advice. At that point, I was so mad that I decided I either needed to learn about personal finance and investing myself, or my life would be one long story of being the sucker for financial professionals. I started reading like mad and eventually met many of the few “good guys” in the industry. After a few years, I realized that nobody was teaching any of this to doctors, either formally in school or informally via a blog or website. And so The White Coat Investor was born. What do you consider to be your greatest success so far with your blog? Most important, it educates medical and other high-income professionals on personal finance and investing, helping them get a “fair shake” on Wall Street. It feeds my entrepreneurial spirit. It’s been for-profit from the beginning (although, like most bloggers, I blogged for free that first year.) So I measure success in two ways: how many people I’m reaching and how much money I’m making. The big successes are when my readership spikes and when my income spikes. My readership has grown gradually over the years, with occasional spikes when the blog is mentioned on CNN or other websites with higher traffic than mine. Financially, the biggest success was when I started selling privately placed ads instead of relying on Google AdSense and affiliate agreements like Amazon. It turns out that doctors’ eyeballs are worth a lot more to a few limited businesses than they are to Google — primarily financial advisors, mortgage lenders, and insurance agents. The best thing about selling ads to these guys is it furthers my mission by getting docs in touch with financial professionals who are actually good for them. That’s a win-win. So every time I bring on a new advertiser, I see that as a big success. The biggest success, however, was publishing my first book, The White Coat Investor: A Doctor’s Guide to Personal Finance and Investing (affiliate link). Not only am I reaching lots more docs, but I’m also making more money. Although quality content speaks for itself, it usually isn’t enough to stand out online, especially in such a crowded niche like personal finance. You’ve carved out a sub-niche, focusing on those in medicine. How did you build your audience, at least initially? They can be small fish in a big pond. Or they can be big fish in a small pond. I went for the second option. Doctors blogging about finance for other doctors is a tiny niche, but I own it. I basically know everyone in the field, both on- and offline, via email, phone, or personal meetings. There were a few others in my niche when I started — and an occasional competitor starts up — but I ran them all out of business mostly because I work harder. It wasn’t malicious. In fact, I usually sent my readers to their blog to help them out. But after a while they just realized they were way behind me and weren’t likely to catch up. It’s tricky to find a niche where you’re an expert, that monetizes well, and that is relatively empty. Perhaps I just got lucky. Let’s circle back to something you touched on earlier: monetization. What have been the most and least effective types of monetization for your blog? As I mentioned, private ads work very well in my niche. I keep charging more each time I renew, and the advertisers keep paying it. I’ve got a waiting list, which means I’m still not charging enough. Yes, I still get some income from AdSense and Amazon, but most of my advertising revenue is from private ads. In the past few months, my book royalties have been larger than my advertising, speaking, and writing income combined. Writing a second book is probably where I ought to be focusing my efforts at this point. For someone who is just starting out creating a blog — or, even more challenging, a blog in the personal finance niche — what advice would you offer? What do you wish someone had told you about when you first started? I got lots of advice, both directly and indirectly. I think the most important was to realize that the hardest part of blogging is sticking with it. Almost no one gets much success in their first year. You have to be writing about something you feel very passionate about, or you’ll run out of stuff to say in a lot less than a year. Another thing it took me years to learn was that blogging is 10 percent writing and 90 percent marketing. Most bloggers have that reversed. Finally, you shouldn’t underestimate the time commitment required to do this well. I surely did. What are your favorite online resources as a blogger? Great interview with a great physician blogger. His website and book are excellent. Jim has done us all a tremendous service. His book and blog (which I found accidentally when searching online) just saved me from years of debt, misery, and financial ruin. Thank you, Jim! I came across Jim’s blog three years ago before I cared much about finance. I looked at it for a few minutes and didn’t go back for two years. Once I decided to get serious about finances, I stumbled across it again. I was frustrated at myself for not reading it for the previous two years. I would have made much smarter financial decisions this whole time. His insights and topics provide an in-depth understanding of what we physicians face in the financial world. All of his blog followers owe him a standing ovation for his work. I agree, Matt. Thanks for the comment!